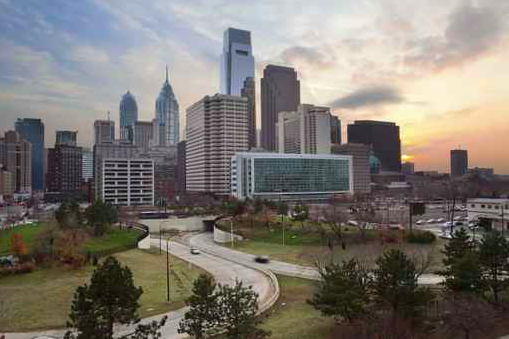 More than a quarter of working-age millennials in Philadelphia are living with at least one of their parents, according to a recent report. Zillow, a real estate company, analyzed the living arrangements of the country's 24-to-34-year-olds and found that almost 10 million live with their mothers. Of the 904,000 working-age millennials in Philly, 27.1 percent live with their mother, well above the national rate of 21.4 percent. The percentage of Philly millennials living with their mother has increased every year since 2007. 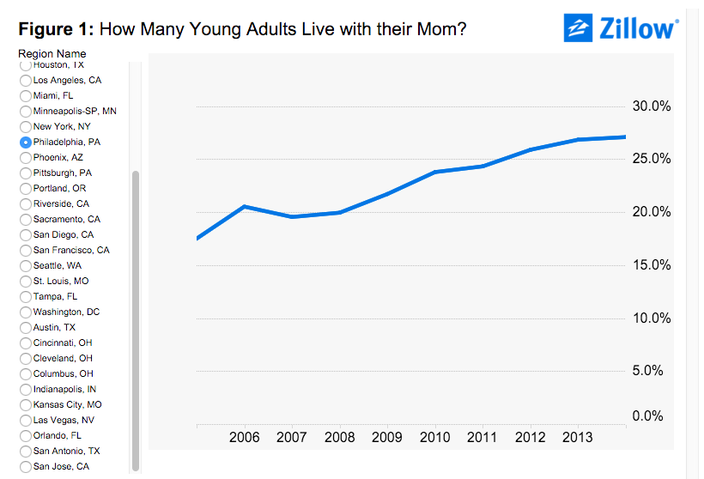 How many young adults live with their mom? "With today's high rents and lagging income growth, many young people are having trouble setting aside enough money to buy their own home, delaying home ownership," Zillow Chief Economist Dr. Svenja Gudell said. "Living with their parents may allow young people to continue to do things like [furthering] their education, save enough money for first and last month's rent, or save for a down payment." Zillow also analyzed the numbers based on race and ethnicity. Whites account for more than half of Philly millennials living at home. 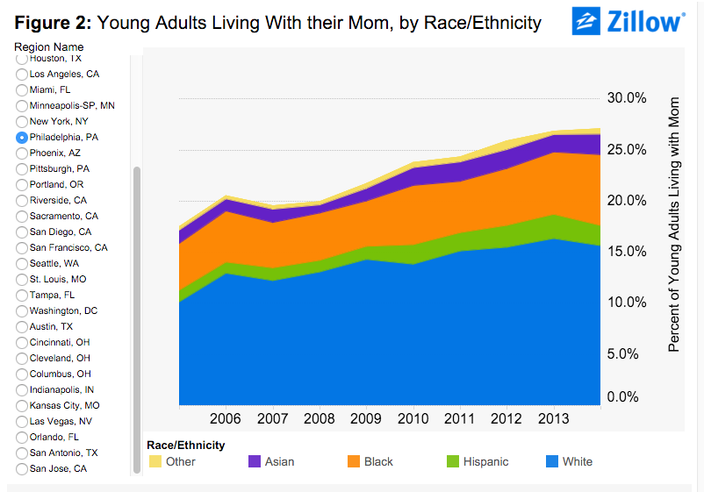 Young Adults Living With their Mom, by Race/Ethnicity.